As Thailand prepares to take over the Asean Chair for its 52nd year, state-owned broadcaster NBT World is digging through the archives to highlight Thailand’s not inconsiderable role in the establishment and direction of Asean. China’s reported plan to scrap its decades-long family planning policy could help prevent impoverished women from other parts of Asia being trafficked into the country to meet demand for brides, campaigners said on Wednesday. 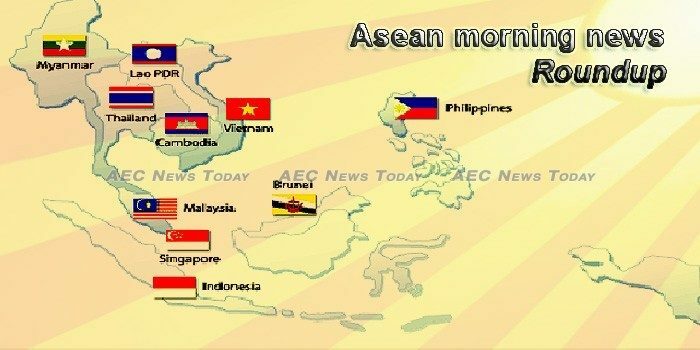 Economic ministers from the Association of Southeast Asian Nations (ASEAN) on Wednesday (Aug 29) inked two agreements aimed at deepening the integration of the services sector and improving trade facilitation within the region. New school semesters may be looming or already underway after a long summer school break, but that doesn’t mean families are packing away their travel gear just yet. Save the Mekong, a coalition of non-governmental organizations, community-based groups and concerned citizens within the Mekong region, issued a statement on Friday announcing their intention to boycott the Mekong River Commission’s (MRC’s) Prior Consultation for the proposed Pak Lay dam. Boeing forecasts that the Asia Pacific will need the greatest number of pilots, technicians and cabin crew over the next two decades. So far, 2018 has seen seven banks dominant in Southeast Asia either release or update their policies related to coal, the single-biggest source of greenhouse-gas emissions worldwide. Talks on a China-backed free-trade pact have reached a ”critical stage,” Singapore’s leader said Wednesday as he urged regional economic ministers to seal the deal by the end of the year. Rising levels of carbon di-oxide in the air threaten to sap wheat, rice, and other staple grains of valuable nutrients, raising the spectre of mass malnutrition, researchers warned on Monday. South Korea’s foreign ministry said Wednesday it will hold an annual meeting of the heads of diplomatic missions in ASEAN member states, South Asian countries and Pacific islands this week. Representatives of 12 countries and two international organizations participated in the China-ASEAN New Energy Forum that opened Wednesday in Kunming, southwest China’s Yunnan Province. Hyundai Motor Co plans to ship China-made cars to Southeast Asia, its China joint venture and two people familiar with the matter said, as a plunge in Chinese sales has left much of its massive local manufacturing capacity idled. External Affairs Minister Sushma Swaraj today discussed bilateral, multilateral and key international issues with her Cambodian counterpart Prak Sokhonn, and the two countries signed two agreements to step up cooperation. Australian filmmaker James Ricketson should be charged with treason for collecting information that could jeopardise Cambodia’s national defence, Phnom Penh municipal court’s deputy prosecutor Seang Sok said on Wednesday (Aug 29) as the trial into his espionage charge came to an end. US Defense Secretary James Norman Mattis has made assurance that Indonesia will not be sanctioned with an embargo for purchasing weapons system equipment from Russia, including Sukhoi Su-35 jet fighters. The leaders of Indonesia and Australia hope to announce on Friday the completion of negotiations on an economic partnership pact aimed at boosting trade between the neighbors, foreign ministry officials said. Indonesia`s state-owned oil company PT Pertamina will focus on reducing imports, refinery construction, and implementation of Biosolar B20 program, newly inaugurated President Director Nicke Widyawati said here on Wednesday. The Chinese state-owned China Tower, together with the Lao government and local firm Click Lao Marketing and Consultancy, signed an agreement in the Lao capital to jointly establish Southeast Asia Tower company. Mr Saman Aneka – Managing Director and Stakeholder Relations Manager, MMG LXML Sepon, handed royalty payment for 2nd quarter 2018 production of US$ 5.33 million to Ms Kaseumsy Phommavongsa, Director General of State Assets Management Department, Ministry of Finance. Malaysia targets to achieve 80% self-sufficiency in rice by 2022, moving up from the current 70%, said Agriculture and Agro-based Industry Minister Salahuddin Ayub. Perplexed, wounded, indignant or still optimistic. The Chinese developer Country Garden Holdings Co. can put any spin it wants on its Forest City project, a $100 billion Malaysian township whose fate suddenly has been thrown into doubt after Mahathir Mohamad’s pointed refusal to let foreigners buy apartments or live in them long-term. The government, halfway through its five-year term, is underperforming on several fronts, including the economy, according to a report from a Brussels-based think-tank. Esports is debuting as an exhibition sport at the Asian Games and is targeted for full inclusion in four years at the games in Hangzhou, China. Privately-owned Parami Energy has inked a tripartite agreement with the agriculture ministry’s Department of Rural Development and the Village Electrification Committee (VEC) to develop a mini-grid system for almost 1,500 households across eight villages in Yesagyo township in Magway Region. The House of Representatives’ appropriations committee on Wednesday approved the PHP447.68 million budget of the Office of the Vice President (OVP) for 2019. The government is eyeing to sign at least 10 loan agreements with China when Chinese President Xi Jinping visits the country in November, according to Benjamin Diokno, secretary of the Department of Budget and Management. The Sharon Cuneta-Gabby Concepcion love team from the ’80s is back in people’s hearts after an online commercial of them has emerged as the most popular YouTube video advertisement in the Philippines for the first half of 2018. The banking, financial services, and insurance (BFSI) sector topped the online hiring growth across Singapore sectors through its 12% YoY hiring increase in June, a study by human resources firm Monster found. Has an artificial intelligence (AI) ever given you advice about education, finances, or love? If yes, you might want to thank (or otherwise) the many researchers and developers in Singapore, a tiny red dot on most maps, set to become very large in the high-tech world of AI application development. THE Singapore corporate debt market continues to grow and deepen, with an extra boost from the Asian Bond Grant Scheme. Favourable geopolitics and drastic reform are the key factors driving Thailand’s prosperity as it aims for well-balanced and sustainable growth over the long term, says Deputy Prime Minister Somkid Jatusripitak. As Thailand prepares to take over the Asean Chair for its 52nd year state-owned broadcaster NBT World is digging through the archives to highlight Thailand’s not inconsiderable role in the establishment and direction of Asean. The central bank is under no immediate pressure to raise interest rates in line with emerging-market peers, given the nation’s solid buffers and relatively strong currency, says governor Veerathai Santiprabhob. Hanoi’s long, long, long overdue ‘skytrain’ looks like it might finally be nearing completion, with engineers running empty “test trains” loaded with monitoring equipment along the line’s 13 kilometre (about eight mile) length since the beginning of August. Vietnam has favourable condition to grow potatoes, with supply abundant in many localities. However, domestic potato processing firms are facing supply shortages.